SAP-Bangladesh believes in sustainable livelihoods development of the poor that can be achieved through long-term and holistic approaches of program implementations. Poverty reduction process can be enhanced through strengthening the capacity of local government and civil society organizations. SAP-Bangladesh strategically designs integrated programs to address the specific needs of the poor focusing remote, costal, and other disadvantaged areas in Bangladesh taking into account the capabilities of the community people and associated stakeholders. 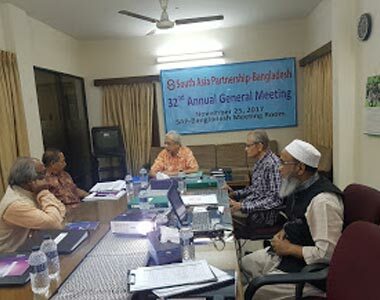 SAP-Bangladesh focuses on the ‘right based’ as well as ‘service oriented’ approaches to development that enhance the ownership and responsibility among the program participants and lead to program sustainability. Organizational changes through new initiatives, innovations, and reviewing the programs are continuous process based on the past learning and upcoming opportunities. SAP-Bangladesh envisions a sustainable, empowered, and pluralistic Bangladesh where human rights are protected, poor lives in dignity, peace, and hope, and where everyone has access to health-care, education, and all necessary public services.